When you make your list of the most agonizing symptoms you can experience, both ear pain and jaw pain might make it to the top of that list. The sharp, stabbing pain of an earache can be almost as debilitating as jaw pain that makes chewing or talking difficult. To add insult to injury, people can (and often do) experience both of these symptoms at the same time, and for the same underlying reason. Here at Anderson Chiropractic, our McMurray chiropractor can relieve you of both symptoms without surgery. What conditions or situations might make your ear ache? Perhaps the most well-known example is bacterial infection which causes fluid to build up inside the ear, an all-too-familiar malady to anyone with small children. A direct injury to the ear or eardrum can also cause ear pain. Some forms of ear pain actually originate not in the ear itself, but in the jaw. Specifically, the temporomandibular joint. The temporomandibular joint on each end of your jaw connects your jawbone to your skull while also allowing for an astonishing range of motion. These complex joints can easily develop problems that limit their function, producing a syndrome called temporomandibular joint disorder (TMD). Symptoms of TMD include stiffness in the jaw, difficulty opening the mouth, clicking or popping noises when moving the jaw, facial pain, neck pain, and earache. Why would a problem in your jaw joint make your ear ache? Muscle tension, in the form of trigger points, and/or joint misalignment can refer pain signals along the sensitive facial nerves to the ear canal, which sits just above the temporomandibular joint. If you have ear pain and jaw pain at the same time, suspect a jaw problem. 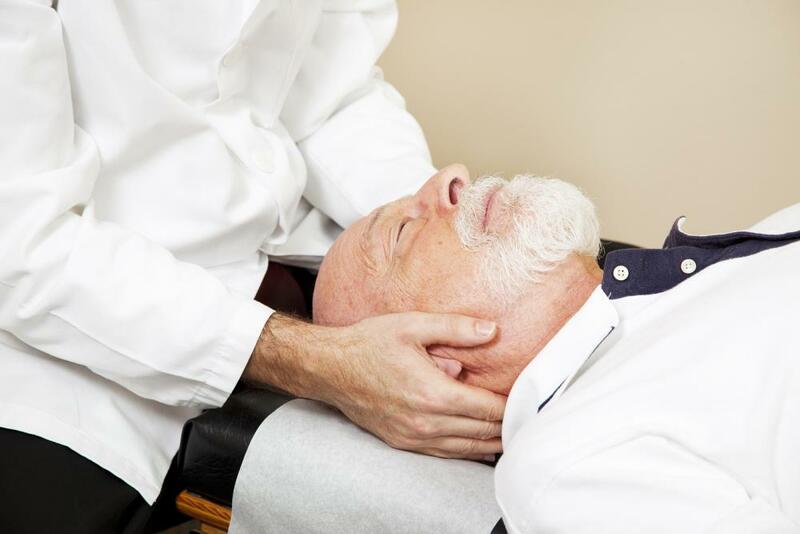 Our jaw pain chiropractor can get both your jaw and your ear feeling better through natural, non-surgical care. If your temporomandibular joints are out of alignment, we can perform small, precise chiropractic adjustments to correct their position and function. We can also administer cold laser therapy to relax tight muscles, reduce inflammation, and relieve soft tissue pain. You may also benefit from gentle stretching exercises to keep your jaw limber. The right mix of therapeutic techniques can make dramatic improvements in function and comfort. Earache and jaw pain may belong together, but neither symptom belongs in your life. Call our McMurray chiropractic clinic today at 724-941-5805 to schedule an evaluation and get rid of your discomfort the natural way!